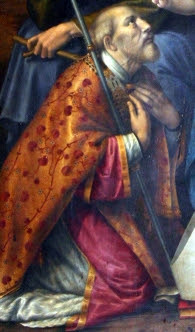 Syrus of Pavia, also known as Cyril, served as first the bishop of Pavia, Italy in the 1st century. Tradition says that he was appointed by the Apostles, and an old legend says that he was the boy with five loaves and two fishes who appears in the Gospels. And if not true, I wonder where the boy ended up?